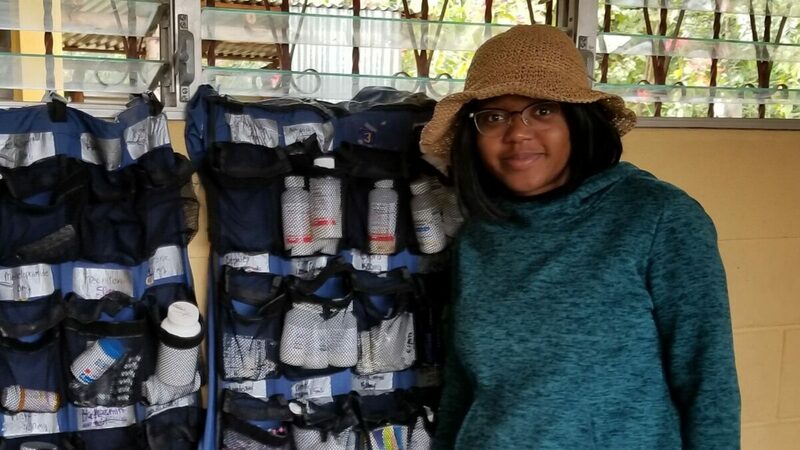 Campbell University/Blogs/Archives/Spotlights/Student Pharmacist Chantley Thomas is passionate about connecting with people from different cultures. Student Pharmacist Chantley Thomas is passionate about connecting with people from different cultures. She has traveled to the jungle of Central America, the mountains of South America, and the tropical Caribbean. She has worked with a diverse health care team in mobile clinics in the most vulnerable and underserved communities. Chantley knows pharmacists are the most accessible health care professionals, and they play a critical role in reducing health inequalities. I attended and studied Pre-Pharmacy at Ithaca College. I was a Martin Luther King Jr. Scholar. This program helps develop future leaders who are committed to promoting Dr. King’s legacy of social justice, public service, bridging gaps between communities and educating others. During my time at Ithaca, I researched and created a comparative case study focused on health inequalities in London, United Kingdom. I also worked as a volunteer receptionist at the Ithaca Health Alliance-Ithaca Free Clinic (IFC). IFC is a medically integrated facility where volunteer health professionals provide both conventional and holistic medical services to clinic visitors as well as health insurance counseling and other services. Why Did You Choose A Career In Pharmacy? Dr. King inspired me to pursue a career in pharmacy when he said, “Of all the forms of inequality, injustice in health care is the most shocking and inhumane.” Pharmacists are the most accessible health care professionals, and they play a critical role in reducing health inequalities. It is crucial for pharmacists to make sure people have access to the right medications. This includes administering the highest quality, correct dose, at the right time, and for the right duration. Pharmacists are uniquely positioned to provide expertise in medication use while addressing both the public health and social care needs of a patient. I am passionate about connecting with people from different cultures. This is something I have had the joy of experiencing through medical missions. I have traveled to the jungle of Central America, the mountains of South America, and the tropical Caribbean. I have worked with a diverse health care team in mobile clinics in the most vulnerable and underserved communities. I possess a strong desire and willingness to adapt to new cultures. I learned to speak Spanish and Haitian Creole to better communicate with people from different cultures. What do you love about Campbell Pharmacy? My favorite thing about CPHS is the faculty. Campbell professors always make themselves available to students, and they have open door policies. Professors who are not on campus all of the time make themselves available via Skype and the phone. Why Campbell Pharmacy Over Other Programs? The professors at Campbell are excellent! Their enthusiasm and real-world examples make a challenging subject relevant and entertaining. They are experts in their field and truly passionate about their profession. Additionally, the residency mentorship program, called DeeM (Developing, Encouraging, Educating & Mentoring) is unique only to Campbell and offers invaluable information.